Gran Teran definitely changes the perception of the Teran as a grape variety. This one has enormeuos aging potential! The wine is dominated by aromas of blueberry and blackberry, medium to full body Teran with extremely untypical smoothness. It is characterized by a harmony of lively acid with a rich extract, this wine has really HUGE complexity and richness when given a lot of air! 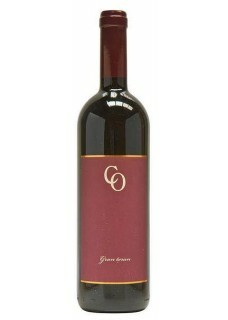 Gran Teran aged in wood is one of the most interesting Istrian red wines. Almost exclusively focused on local varieties of Malvasia and Teran, Coronica proves how much tradition means to him. Food pairing: Due to very nice acidity, perfect match with red meat or grilledd tuna steaks.